How to apply freecharge coupons helps you to apply the promo codes on freecharge.in, Just follow the steps and apply your promo code. Update August 2015 : No more option to Pick coupons during recharge, experience more fast recharge with the new interface. Login your id –> Enter recharge details –> Then Proceed –> Click to enter promo code –> Enter promo code and click redeem –> Proceed to payment. visit Freecharge Coupons page for latest coupons.!! Stay tuned for more updates..!!!!! Which promocode enter while recharging??? From top menu click on Recharge coupons. Sir can i get promo code on my g mail of all recharges? From top menu choose the desired section. Plese use the top menu and find yours. aftet using a promo code, i have unlocked Rs.25 cashback….. but code given in this sms doesn’t work…..so guide me…. How can we use free charge coupon which received on email ? Second, There is no copupon facility while paid the bill of postpaid connection. Advise please and Call me once. 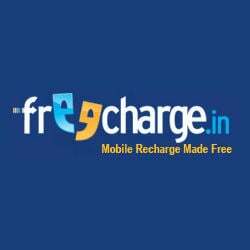 Its simple follow our how to apply freecharge coupons tutorial at PromoCodeCLub. Which coupon you received by email ? We dont have info unfortunately. According to freecharge its temporary maintenance. I recharge 4-5 times but how to use promocode after recharge or before?